Crown Staffordshire, English Bone China Teacup and Saucer. 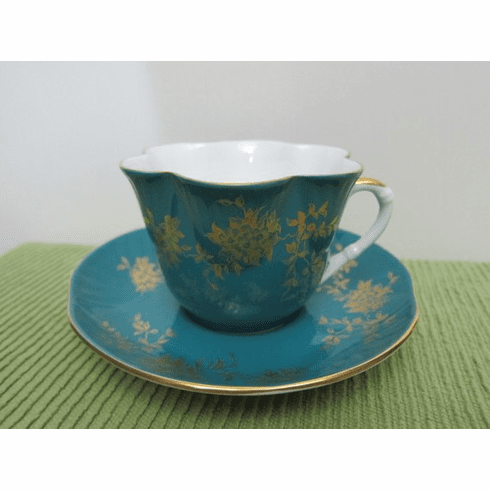 Deeply fluted cup with scalloped saucer. The gold is perfect on both pieces! The Backstamps on both pieces are identical: "Fine Bone China / Crown / Est 1801 / Staffordshire / England"
Size: The fluted teacup is approximately 2-1/2" in height. The scalloped saucer is about 5-5/8" in diameter.